There is one thing most dental emergencies have in common: they happen when you least expect them to. While it’s impossible to completely eliminate the chances of a dental emergency occurring, there are some preventive steps that can be employed. There are also steps that can be taken to encourage faster recovery if a mishap takes place. Read on as an emergency dentist provides all the details you need. Apply topical ointment to soothe any pain. Take up to 600 mg of Ibuprofen to ease any discomfort. Apply ice to the outside of your jaw in 20-minute increments. One of the ways to prevent a toothache is to maintain excellent oral hygiene, which should include brushing and flossing your teeth at least two times a day. It’s equally important to visit your dentist for preventive care semi-annually. Sudden impact to the face is one of the leading causes of a chipped or broken tooth. If you find yourself in this situation, after assessing the problem, rinse your mouth with warm water. Next, apply a cold compress, and avoid chewing on that side of the face until you receive treatment. As a preventive measure, if you’re involved in any type of sporting event that involves people moving, then it’s a good idea to wear a custom mouthguard provided by your dentist. In the case of a knocked-out tooth, first grab it by the crown, and then rinse it with milk, water or saliva to remove any debris. You can then attempt to re-insert the tooth. If that isn’t possible, then you can place the tooth in a cup of milk or water until you visit your emergency dentist. For prevention, you should use the same reasoning that you would for avoiding a chipped or broken tooth: to wear a mouthguard before participating in any sporting activity. A lost filling or crown can leave the more sensitive areas of your tooth vulnerable to debris and bacteria that can cause a painful infection. So if this happens, it’s important to take the right action. After retrieving the fixture and drying it off, you can apply a dollop of dental wax or toothpaste and attempt to re-insert it. One preventive step you can take is to avoid biting into foods like popcorn kernels or the harder types of nuts. You should also abstain from using your teeth as a tool to open packages or bottles. Your main concern when there is a cut of any sort is to stop the bleeding. One way to go about this is to gently bite down on a cotton gauze. You can also apply ice to the trauma site to reduce any swelling. If any bleeding persists for more than 10 minutes, then head to the emergency room. Some tips to prevent a cut are to avoid using toothpicks, and you should abstain from using your teeth to open packages. Also, if you’ll be playing any sports, it’s highly advised that you wear a mouthguard to prevent a severe cut. The response to a suspected broken jaw is simple. Limit your facial movement, and head directly to the emergency room. From a preventive standpoint, you should just be careful. 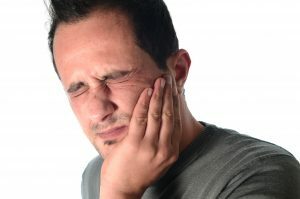 Many jaw injuries come from either blunt force or a bad fall. So avoid things like texting while you’re walking or being inattentive while moving about in any manner. By applying what you’ve learned here, you can better protect yourself from a dental emergency. You’re also now prepared to respond effectively if one occurs. 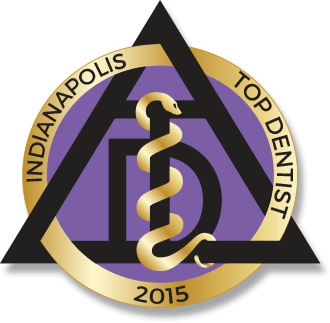 For nearly four decades, Dr. Mark M. Farthing has been providing top-notch dental care to the Indianapolis area. He combines his years of experience and a constant drive to expand his knowledge to help patients recover from dental emergencies at Indianapolis Family Dentistry, and he can be reached for more information through his website.